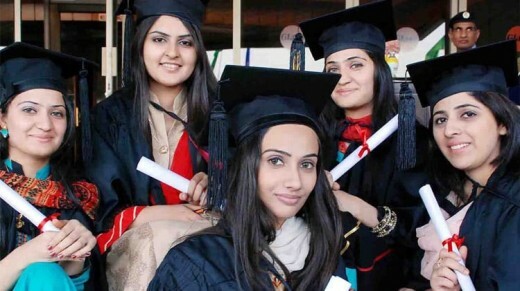 Higher Education Commission of Pakistan has started the new online degree attestation system and the applicants will be able to apply for the attestation of their degrees online. HEC has created the new portal for the applicants and they can use online registration and creation of account. They can use this online system for their hassle free mechanism for the attestation of the degree and they do not need to stand in the long queues for the attestation of their documents. The applicants will have to fill in the application form online and upload his / her scanned documents. When they submit their application form, the form will only be scrutinized by HEC. Then the applicant will receive the email or SMS to the schedule to visit at the HEC office located in Lahore, Karachi, Islamabad, Quetta and Peshawar. The applicants will bring their original documents with copy of same and receive attested degrees with the short time on the scheduled date and time. The applicants send someone else with the authority letter from the applicant on the scheduled date. The applicants can also get his / her degrees attested through courier service and they will have to select the mode of attestation through the courier and they will submit the documents and fee with the courier company and the details are provided on the portal. For the applicants of PhD, the verification process is based on the two steps. The applicants will navigate to PhD Country Directory (PCD) and the system will carry out research on the basis of CNIC or email address provided by the user. They will add PCD serial number and fill in the data verification form and HEC will verify the record to carry out the subsequent attestation. If the candidates cannot visit on the scheduled date, then they can reschedule their visit and the new system will provide the facility of tracking of the application online. It is necessary to mention that the new system for the attestation of degree has been linked to Pakistan Qualification Register. When will the degree program is not listed in PQR, the applicant cannot apply for the attestation of their degree. The applicants need to contact with the focal person of the university and ask for the entry of the program in PQR. List of the focal persons is provided at the attestation portal. The majority of the universities have been completing the entries on PQR proactively and the response of the university is slow. They are advised to enter their degree program in PQR so they can streamline the attestation and other related processes.